The shiny canister sitting on the roof of a printing business here in the Seward neighborhood is searching the air for pollutants, but not the ones you think. Instead of soot or heavy metals like lead and mercury, the canister probes for 61 different "volatile organic compounds." VOCs, as they're often called, are gases emitted from certain solids and liquids — think paint and cleaning fluids. They're the byproducts of everyday chemicals and while they don't belch from smokestacks, officials in Minneapolis and other cities have become increasingly concerned about their health impacts. Two years ago, Minneapolis began putting up the canisters, about the size of large bowling balls, around the city several times a year to get a 72-hour snapshot of air quality. It was the first in the U.S. to conduct such intense VOC sampling. Officials are using that data now to understand the origins and effects of this pollution and reduce it. The Seward rooftop offers a look at how it's being done. Down below is Smyth Companies, where inside several printing presses rumble, making labels for an array of consumer products. Smyth general manager Bill Denzen says some of the inks require solvents. When the emissions combine with sunlight and nitrogen oxide, another pollutant known as ground level ozone forms, and it poses a health risk. For that reason, the federal government plans to issue tougher ozone limits in October. At Smyth, company officials are thinking about changing one of the machines to use LED ultraviolet light to cure the labels. Denzen says that would save energy and cut VOCs. The switch will cost about $100,000, which the company considers a significant investment. "We want to be good corporate citizens and we want to do everything we can to help the environment," Denzen said, noting the company already works to reduce the amount of material being sent to landfills. Smyth Cos. has applied to participate in a city grant program that helps businesses change out their equipment for cleaner alternatives. Since the green business matching grant program began a few years ago, more than a dozen businesses have participated. That includes dry cleaners that have stopped using a chemical known as "perc" -- considered a probable carcinogen. And some auto body shops are using cleaner, water-based paints. It costs a dry cleaner about $90,000 to switch to a system that doesn't use perchloroethylene. The Minneapolis incentive program offers grants where the city pays a third and the business pays two-thirds for the cleaner technology. Since 2012, city will have spent about $400,000 after this year's projects are finalized, leveraging $1.25 million in new clean air projects. Businesses have embraced the program, said Minneapolis environmental initiatives manager Patrick Hanlon. "Every business owner, they're people too, and they care about these same issues." The health effects of each VOC vary. The federal Environmental Protection Agency has designated some as probable carcinogens. The Minnesota Department of Health has developed what's known as a health risk value for many VOCs. If a person is exposed to levels over that value for a long period of time, it could contribute to a range of health problems such as anemia, weakened immune system, reproduction problems and cancer. Ground level ozone is associated with respiratory diseases such as asthma and chronic obstructive pulmonary disease. On days when ozone levels are high, health officials advise people most prone to the pollutant, such as the elderly, children and those with respiratory conditions, to avoid outdoor activities. Exposure to VOCs can also have short-term effects, said Jenni Lansing, the Minneapolis air study coordinator. "That could be eye irritation, throat irritation or it might cause asthma symptoms to worsen," she said. "And each VOC has its own chronic or long-term exposure health risk associated with it, which could be things like cancer or organ damage." 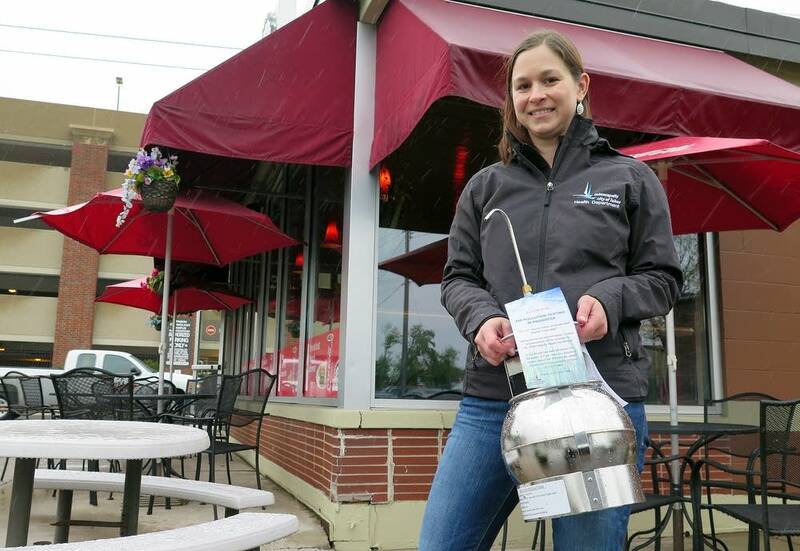 The Minnesota Pollution Control Agency also monitors for volatile organic compounds and has a similar incentive program for businesses to switch to cleaner processes. Twelve small state businesses have received more than $400,000 in state grants to reduce about 6.2 tons of VOCs, which is equal to more than 13,000 cans of spray paint, according to the MPCA. Past projects in Minneapolis that have received city grants have reduced 5,000 pounds of VOC emissions, and the city is finalizing several projects for this year that would more than double that total. The data the MPCA and city are collecting will help focus the efforts. Officials know some of those chemicals are already a concern, including benzene, methylene chloride, tetrachloroethylene, trichloroethylene, also known as TCE, and naphthalene. "We're optimistic that we're going to be able to make some progress on this, understanding though that there are some sources that will be much more difficult for us to try to address and that's coming from burning gasoline and diesel in cars and trucks," said MPCA air assessment manager Frank Kohlasch. Lansing says some of the monitors show potentially unhealthy levels of those chemicals for people who are exposed long-term. The city has long known about the pollution, but the current study offers an opportunity to pinpoint where it is and who might be exposed. "What we want to find out is businesses that are using VOCs, how far out into the neighborhood are those VOCs reaching," she said. Already, some of the 120 neighborhood monitors have picked up on chemicals used in the home, like cleaners and paint thinners. The U.S. Environmental Protection Agency doesn't require states to monitor for VOCs, and Minnesota is among a small number of states that do, Kohlasch said. The EPA does require monitoring for ground level ozone, a byproduct of VOCs. Lansing said that when Minneapolis began its study it was the only city she'd seen that was sampling so intensively. New York City, she said, has since started a similar study on VOCs. It makes sense that cities would be interested in getting neighborhood-level data on VOCs, because it can help them with land use decisions, like where to put a bike route, said Matt Bechle, a civil engineering graduate student at the University of Minnesota helping Minneapolis analyze the VOC data as part of his thesis work on air quality in cities. "If a city just has one or two monitors, that doesn't give us a good sense of who is impacted and why," Bechle said. "With [the Minneapolis study] we can figure out what land uses and industries are really impacting people and what areas we want to hone in on." 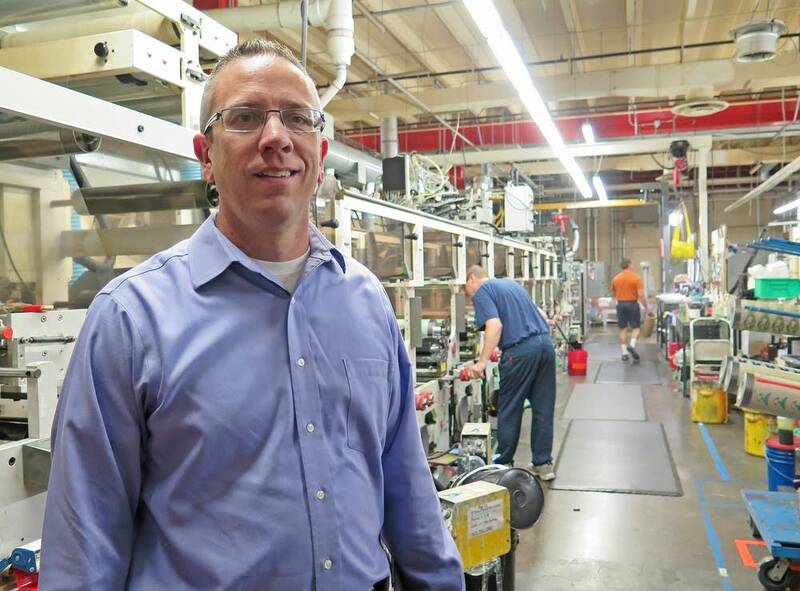 Regardless of what the data show from the canister on his company's rooftop, Denzen said running a business with the environment in mind is the right thing to do. "Even beyond the feel-good thing," he said, "It's really where the world is heading."